Size: 32.18 x 18.58 x 6.96 mm. 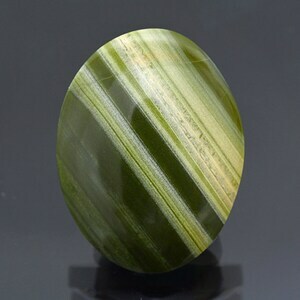 This is a lovely Lepidolite cabochon. 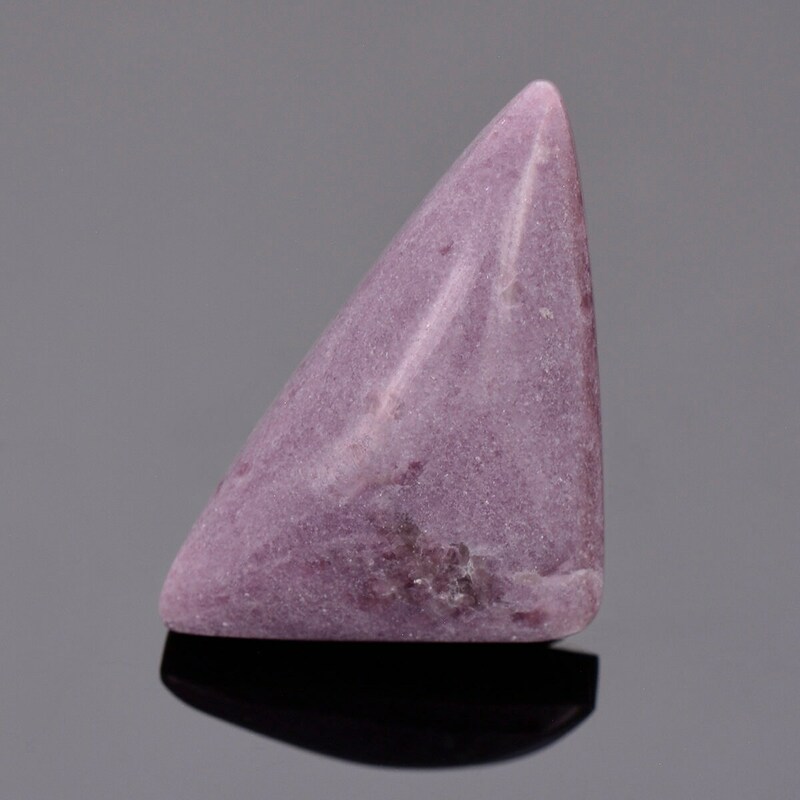 This material comes from the famous San Diego County pegmatite and is some of the best quality Lepidolite for cabochons. 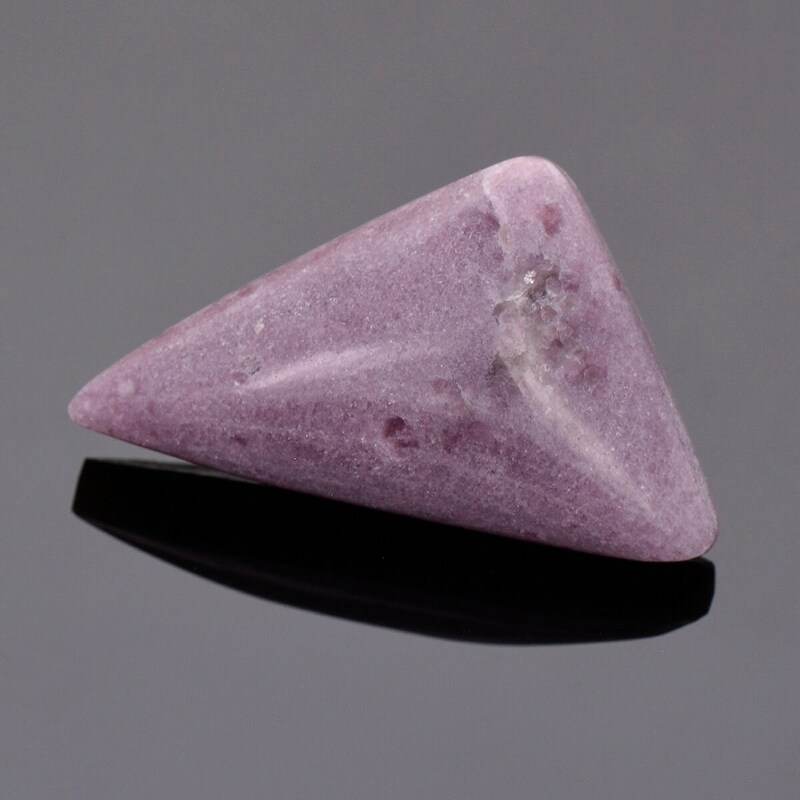 Lepidolite is a Lithium bearing Mica, which traditionally is brittle. This massive material from California is compressed and sturdy. 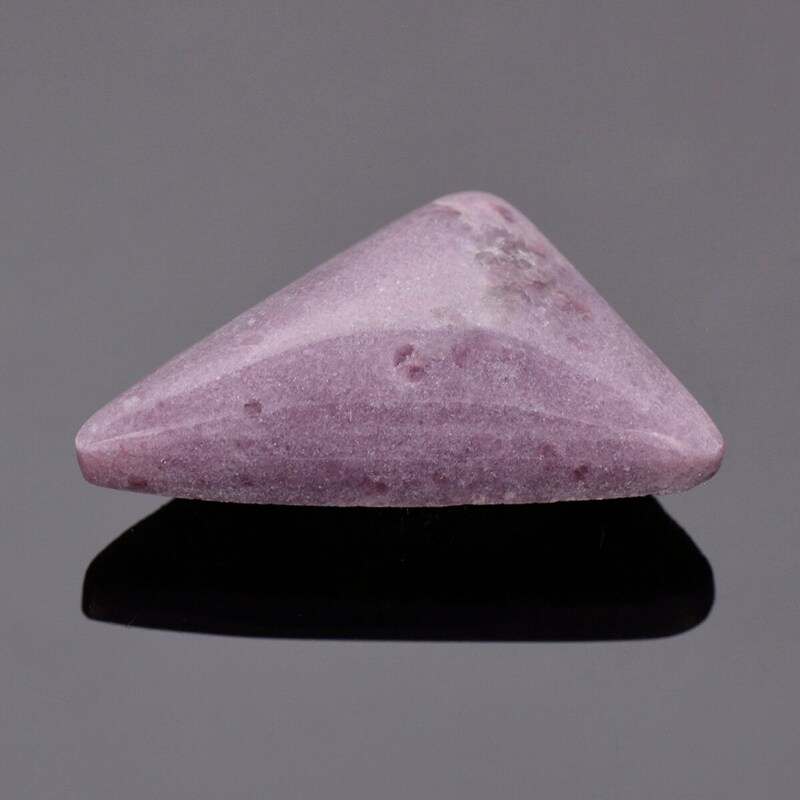 This stone has a light purple color that is quite attractive and looks like candy. 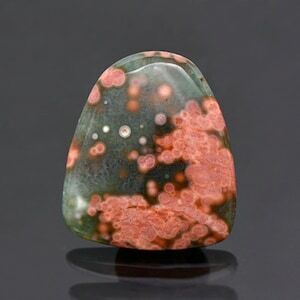 This piece can easily be set into a pendant and will be unique and lovely. 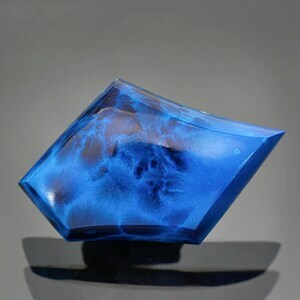 This material is quite limited and a unique collector’s stone. 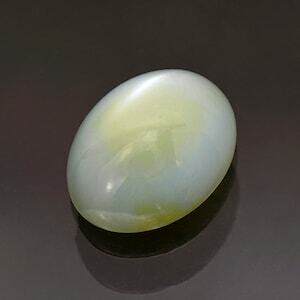 This stone was cabbed by Brett Kosnar of Kosnar Gem Co. Enjoy!